The industry leaders in email suppression management. OPTIZMO was launched in 2009 by co-founders Khris Thayer and Grant Fern. From its inception, the company has been focused on delivering email compliance solutions and support to advertisers, networks, performance agencies, and email marketers. OPTIZMO provides automation software for optimizing the collection, storage, and distribution of sensitive consumer data in a secure environment with unparalleled performance analytics and visibility into how third parties interact with your data. With the email marketing industry’s growing need to produce a fast, intuitive platform that supports a fresh, innovative approach to email suppression list management and email compliance, OPTIZMO continues trailblazing the way in Data Management SaaS technology. Over the years, the company has grown and as of 2019, has team members located in multiple locations around the world, including Austin TX, Charleston SC, Denver CO, and Brisbane, Australia. 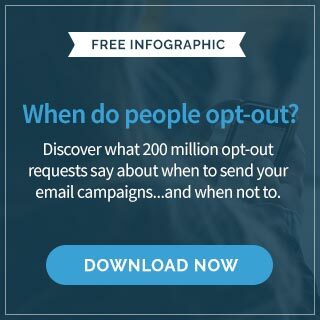 OPTIZMO is the recognized thought-leader in the email and online marketing space for email suppression list management, email campaign management, data management, and risk mitigation services relative to email compliance. With an expert staff in pursuit of unrivaled efficiency, innovative technology, and an insatiable desire to problem-solve, clients have the advantage a customer-centric business model that not only enhances the way OPTIZMO clients do business but drives the company forward. Perhaps the only truly independent suppression list management system, OPTIZMO is entirely neutral and unaffiliated with any mailer, network, or other technology platform. This allows us to focus on delivering the most robust email compliance solutions available in the industry and make it available to every client, with no potential conflicts of interest. Whether you have a need to move data throughout an entire ecosystem of channel partners or simply for internal, cross-departmental sharing of suppression lists and customer files, OPTIZMO saves you time, money and lets you rest assured your data is safe and secure. At OPTIZMO, we pride ourselves on delivering 24/7 support for all our clients. We can confidently say that no other company in the industry provides the level of dedication, support, and service we provide to every client.